Since the beginning of the year, Bayern have won eight of their last nine in the league and have caught up with Dortmund, who had a six point lead over Niko Kovac’s men at the start of the year. According to Free Bets Hub, Bayern are now 4/11 to defend their title. If the BuLi crown is to be decided on goal difference, Bayern are certainly edging ahead in that record. Their twin 6-0 thrashings of Wolfsburg and Mainz have seen their GD go to +41, seven ahead of BVB (+34). 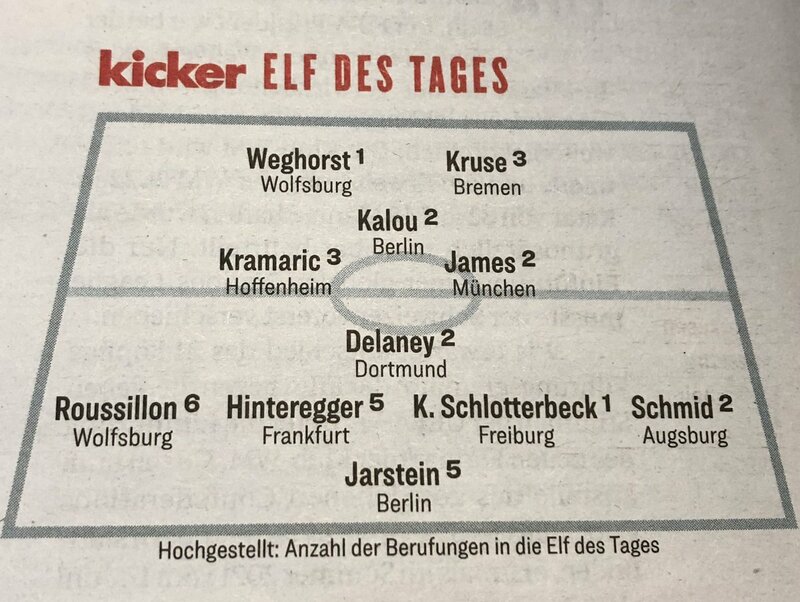 There was a sixth to come and it was from the boot of young Alphonso Davies, who became the first Canadian to score in the German top flight, as well as Bayern’s youngest league goal scorer since Roque Santa Cruz in 1999. For poor Mainz, it was their third straight league defeat. The last few weeks have been dreadful for FSV- they’ve lost six of their last seven in the league, with the win also coming against struggling Schalke. 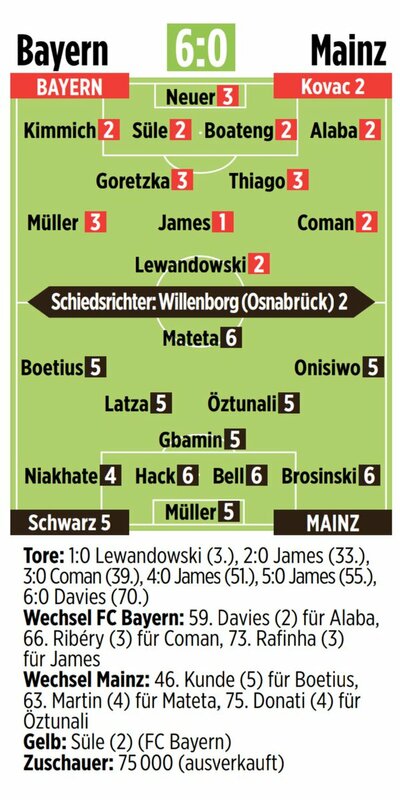 James’ performance also earned him a spot on the Bundesliga team of the week- the only Bayern player in that XI. FCB’s next game after the break is an away clash at SC Freiburg, while Mainz will travel to the Weser Stadion to take on Werder Bremen.